To begin your journey, we suggest starting on the short trail on your right, off of Skyline Drive. 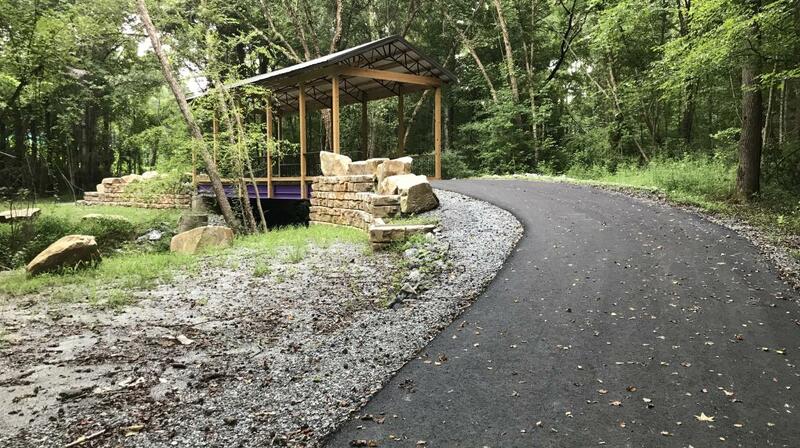 This was the first Phase of the Purple Martin Greenway and still a favorite due to the water features and shaded paths. As you begin, it’s important to notice the elements of nature that surround you. As you wander down the path, pay careful attention to the sights and sounds. Listen to the chirping of birds, feel the bark of trees, smell flowers that are sprouting from the ground. Take your time, and let your senses come alive! Creek Access: The running water of the meandering Cleghorn Creek sits to your right, tucked behind the rich, luscious greenery. There are 2 access spots. The first leads to a somewhat hidden oasis that provides a creek access point for wading and observing. Once at the water, be sure to listen carefully as it calmly rushes over the rocks and sticks. Feel the coolness of the water by dipping your feet in, or try your hand at rock jumping to strengthen your balance! Once back on the bath, continue down further to see a mesmerizing waterfall at the second creek access. Here you can wade in the creek above the small waterfall, make your way through the rocks to explore even more, or take a break and find a nice big rock to sit on as you dangle your toes in the cool, refreshing water. 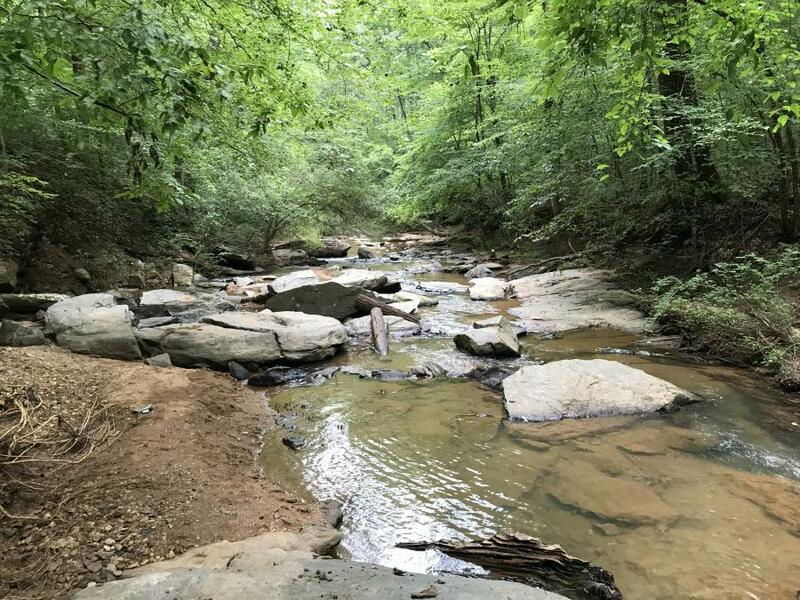 As captivating as the relaxing sound of the waterfall is, you may forget that the creek serves as a habitat for many insects, small fish, and various birds, so be aware and always make sure to leave no trace. Picnic Shelter: Back on the path you will notice a picnic shelter on your right. Follow the stepping stones through the garden to notice the planted flowers and greenery. The tags located on the stems of the plants provide details on species, growing conditions, and where you can plant a similar one of your own! Feel the leaves of the plants to notice the texture and consistency. Smell any budding blossoms and remember their scent. These aspects make up the plants’ unique characteristics, and will help you to identify it later on especially since some of the same plants may be featured near the Phase 2 picnic shelter area ahead! As you continue back towards the parking area, don’t be in a hurry to end your journey, cross over the street to Phase 2 of the Purple Martin to discover even more surprises including local artwork. 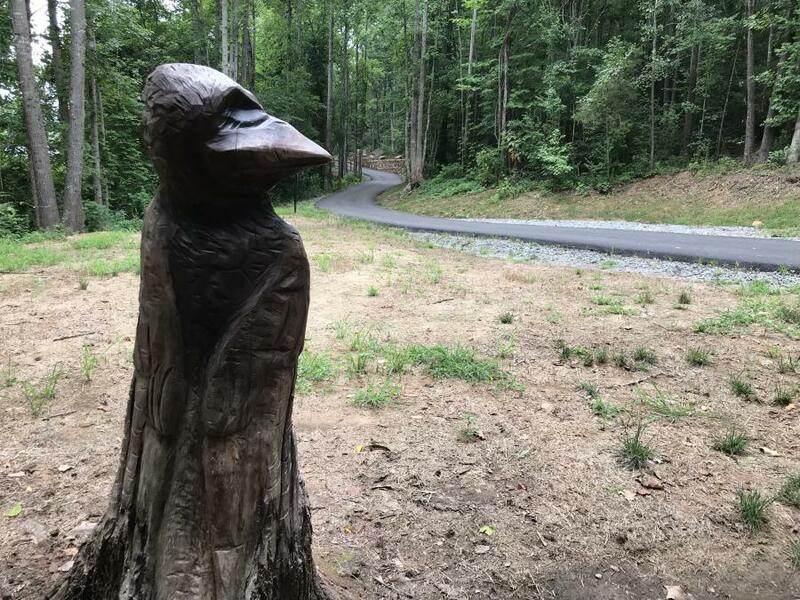 Purple Martin Carving: As you approach the picnic shelter on your left, you may notice a seemingly lurking tall figure. Fear not - it’s just a carving of the iconic Purple Martin! The Purple Martin bird has been adopted as Rutherfordton’s symbol, honoring the history and namesake of the community. The bird also appeared on General Griffith Rutherford’s family crest! Feel free to take a breather while enjoying this carved masterpiece, and maybe pull out your lunch under the covered picnic shelter. 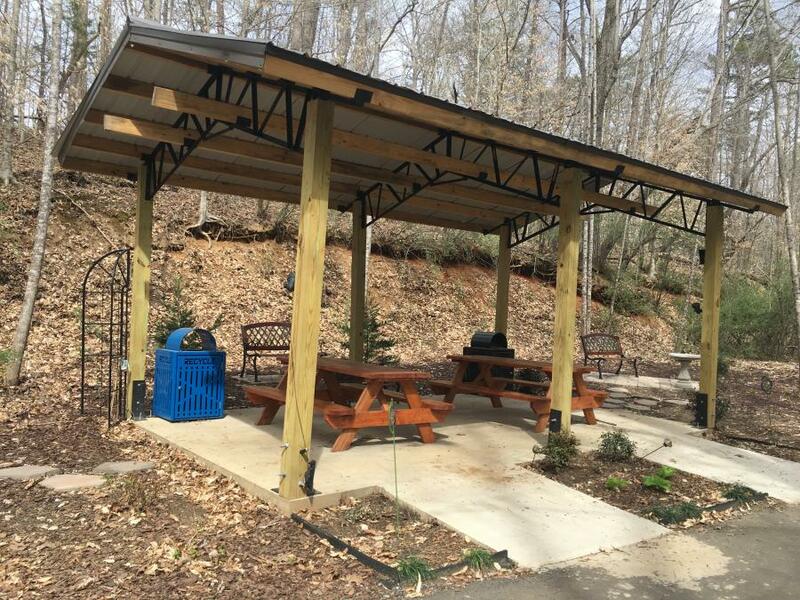 Look around, do you see any of the plants from the first picnic shelter? Have you seen any along the walking path? Which ones are your favorite so far? Bird Feeders: If you look carefully, you’ll notice housing for our friendly, feathered friends! The array of birds on the trail is evident, but one thing remains the same - they all need a place to live! Bird houses are located on several trees throughout the trail. There are also hanging gourds that provide a more out-in-the-open housing option, which happens to be preferred by the Purple Martin. Either way, the lush forest surrounding the perimeters provides an adequate food source and habitat for these creatures. Birdwatchers, look carefully among the tree line to spot - and let us know if you see a Purple Martin! You can post it on our Facebook page at @PurpleMartinGreenway. Covered Bridge: You’ve made it to the covered bridge! 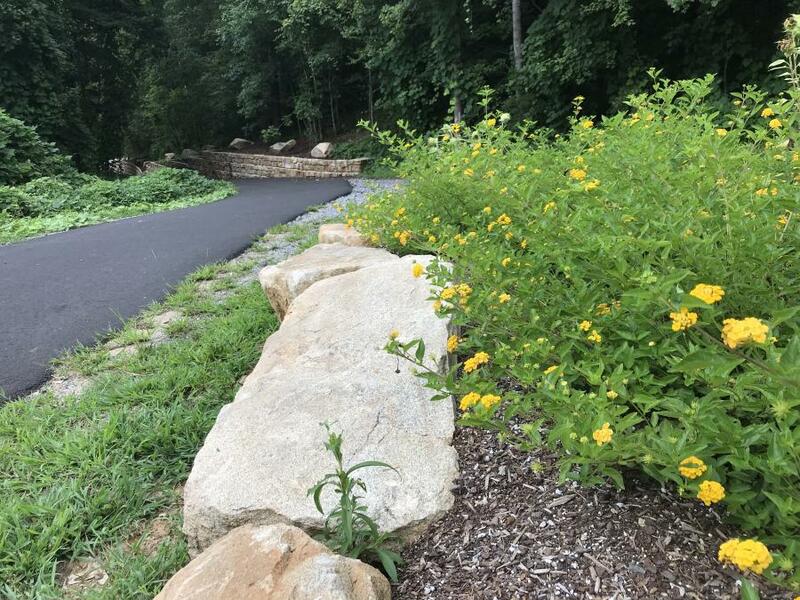 The rocks that line the path serve as a border between the paved path and the natural habitat of the many plants and animals. Squirrels, rabbits, various birds, flowers, trees and greenery are among some of the wildlife that can be found here. Have you see any on your walk so far? Among the rustles of creatures, if you listen carefully you can also hear the stream that runs quietly under the bridge. This water loops back to the Cleghorn Creek that you explored at the beginning of your exploration. Did you notice the color of the beams under the covered bridge? 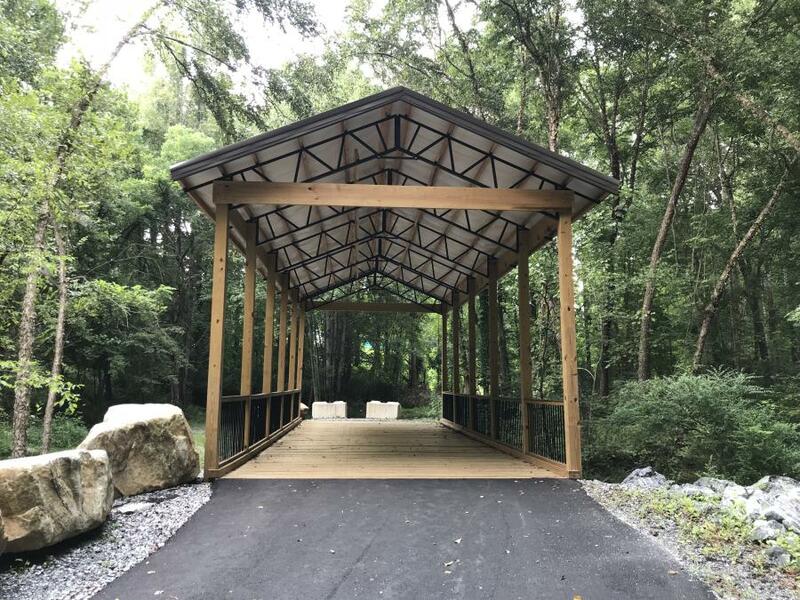 For now this may be the end of your journey along the Purple Martin Greenway, but there are plans to extend the trail all the way through downtown Rutherfordton over the next year, so make sure to check back for updates and new sections to explore. 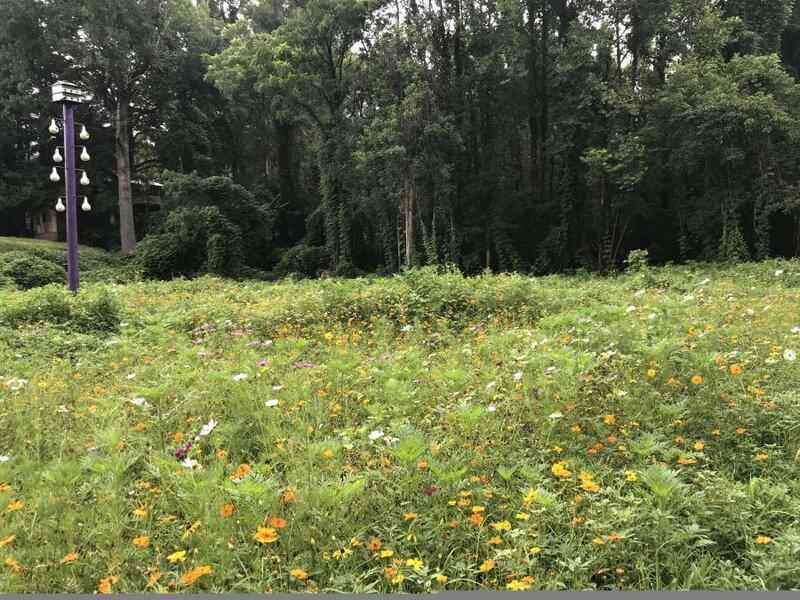 We hope this Sensory Trail helped you to destress and reconnect with all the wonderful things that surround us in nature. Make sure to share your pics with us as well as your experience. You can check out other trails to explore throughout Rutherford County by visiting our website at www.VisitNCSmallTowns.com/Trails.